Mozambique has been in the news recently following arrests of senior officials and bankers in London, New York and Jo’burg on their alleged involvement with fraud and loan scandals, that led to a financial crisis in the impoverished country. The country already has some of the highest debt-to-GDP ratio in the world, ranks high on the corruption index and among the bottom ten on the global human development index — leading to increasing and justified calls for the scandalous debts to be written-off by the creditors. Mozambique has the highest burden of malaria in southern Africa, with over 8.5 million cases reported in 2016 and all provinces of the country are prone to high malaria transmission. Nearly half of the population lives below the poverty line and those in rural communities lack access to basic healthcare services contributing to excess morbidity and mortality. Each year, over 80,000 children lose their lives before their fifth birthday — this accounts to one young life lost needlessly every six minutes — the time it’d take one to read this post. Malaria, pneumonia and diarrhoea are attributable to over one third of under five deaths — common childhood illnesses that are easily preventable and treatable in similar settings elsewhere. Maternal malaria and malnutrition are widespread, coupled with insufficient health infrastructure and low coverage of preventative services such as IPTp and immunisation, low exclusive breastfeeding rates and high childhood malnutrition — the odds of losing young lives remains very high. Since 2005, Malaria Consortium has worked closely with the national ministry of health and partners, to help strengthen systems and improve access to life-saving services for children and communities, in particular at the last mile. Late last year, I visited the country to support colleagues and see for myself the impact we’re having on the lives of the most vulnerable across the country; and here’s what I found. We are at the forefront of community and digital health work in the country — having developed and rolled-out with partners the mobile health app for community health workers (CHWs) over the past 10 years. The innovation enables CHWs, called the Agentes Polivalentes Elementares locally, to correctly diagnose and treat children with common childhood illnesses using the integrated community case management (iCCM) protocols. Our flagship digital health intervention upSCALE consists of an interactive mobile phone app that guides CHWs through patient registration, routine health checks, diagnosis, treatment, referral and follow-up. The app automatically compiles CHW monthly reports for submission to supervisor online. A complementary CHW supervisor app supports two-way communication and feedback, while integration with the district health information system (DHIS2) enables easy visualisation of aggregated data. Over the years, upSCALE has helped strengthen community service delivery in a low resource setting, significantly improved access to quality care at the last mile, improved availability of realtime data for monitoring, supervision and district planning. 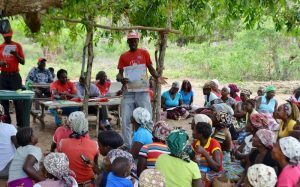 As a result, the government of Mozambique is planning to scale-up this evidence-based intervention across all CHWs and provinces over the next few years. One of our local health heroes, Adelia, is a single mother and committed CHW in Marange, Homoine district. She has been providing community health services over the past 8 years and sees around 300 cases pm. She was one of the first CHWs trained on the upSCALE mobile app and said that she finds it‘really helpful for correct case management and sharing health messages during home visits’. Working closely with the national CHW programme and provincial health departments, upSCALE started with just 10 CHWs in Inhambane in 2009. Since 2016, the innovation has been scaled-up to 650 CHWs in all districts of Inhambane and Cabo Delgado provinces, and expected to increase to 2250 later this year with the addition of CHWs in Zambezia province. Similarly, we are working closely with the national malaria control programme and partners to strengthen malaria surveillance across the country, contextualising strategies and interventions for the lower and higher transmission areas in south and north of the country respectively. 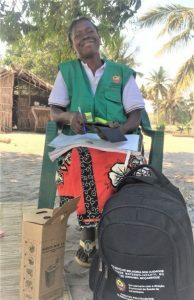 We recently completed a national landscape analysis and brought stakeholders together to identify and address bottlenecks in the national malaria surveillance system, and support the collaborative development of a Data-to-Action (D2A) framework to support progress towards malaria elimination by strengthening surveillance in Mozambique. Awareness of childhood illnesses and health-seeking practices are low across rural communities and only about half of the young children are taken to a health worker for treatment of common illnesses. Nampula province in northern Mozambique has the highest burden of neglected tropical diseases (NTDs) in the country, with high co-endemicity of schistosomiasis, lymphatic filariasis and soil transmitted helminths. 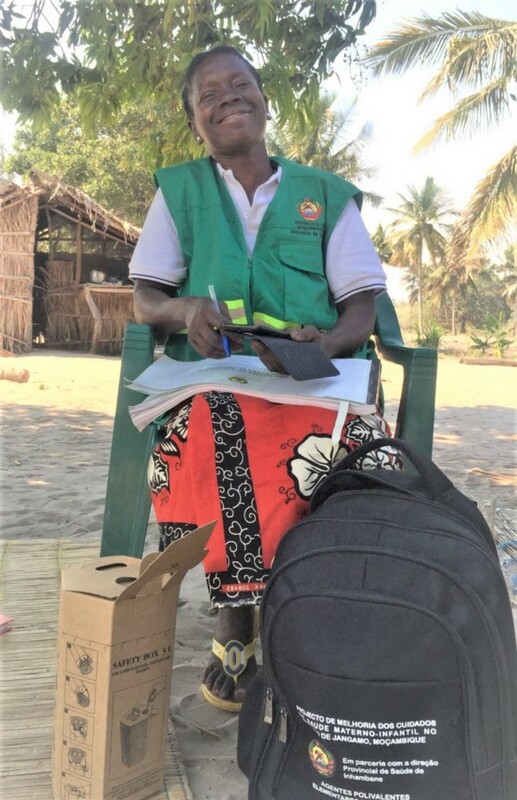 Since 2014, we have worked closely with communities and local authorities in Nampula province using our innovative Community Dialogues approach to improve awareness, prevention and control of NTDs. Working through community champions and facilitators across 600communities in 4 districts of the province, we have contributed to strengthen community engagement, ownership and capacity to overcome socio-cultural barriers for improved acceptance and uptake of NTDs prevention and control services in target communities. 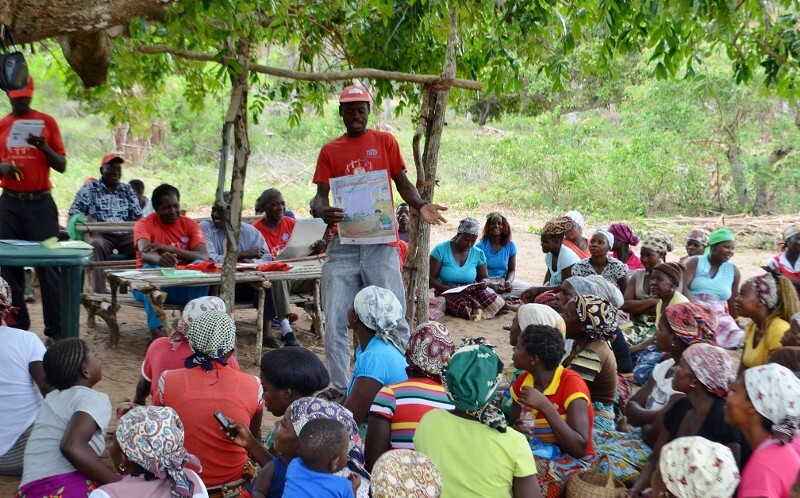 Over the years, Malaria Consortium has worked to promote partnerships at community, district, provincial and national levels in Mozambique, collaborating with development partners, international agencies and local researchers such as the health research institute at Manhiça, generating credible evidence and learning that has informed policies and practices of governments and partners, both locally and globally. 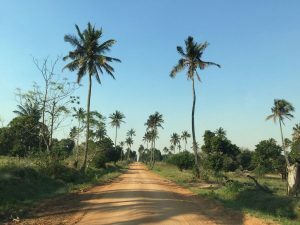 Despite the widespread development challenges, Mozambique is blessed with immense resources, not just the minerals and spectacular landscapes, but the rich culture, cuisine and diversity of her people. I returned greatly impressed with the ingenuity and resilience of the Mozambican people, who are striving to make a difference every day with limited resources — there is no doubt the country has the potential to make significant progress towards malaria elimination, improving health coverage and saving lives, if the current pace of progress is maintained over the coming years. And it may be on the other side of the world, but I cannot wait to return soon!